Happy 17th to Wargaming.net! All this weekend is a celebration of Wargaming's 17th anniversary as a company, not to mention World of Tanks' fifth anniversary, when it introduced itself to the world half a decade ago. 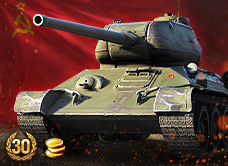 For these two very big occasions, we're pulling out the stops with a ream of discounts, x5 XP, and bundles featuring some favorite Premium tanks. 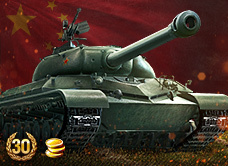 This event also overlaps with The Gauntlet's new focus on tank destroyers -- most of the missions in this event are TD-based, so take this opportunity to get even better acquainted with this fun and challenging vehicle class. Complete most of the missions and you can get even more XP from Personal Reserves! It's all in the name of celebration. 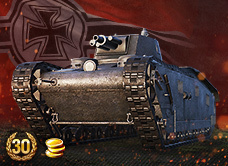 Speaking of WoT's fifth, don't miss your chance to grab an XP bonus and a free new tank in our separate 5th Anniversary event! Let's Battle on for another year! 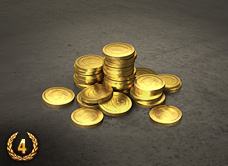 *Due to date overlap, Gold received from a duplicate purchase of the IS-6 via the Wargaming's Own Anniversary Edition bundle between Aug. 14-17 will result in a 15% reduced Gold compensation amount for this period only. Destroy at least 1 enemy tank destroyer in a battle. Destroy 2 enemy vehicles in a battle. Deal 5,000 points of damage over any number of battles. Complete Removing Guns from the Fight 15 times. Complete Damage Output 10 times. Complete both Clean-Up Crew and Consistent Output once. 1,300| 3 Days Premium Acct. +FREE 1 Day Premium Acct.